Happy weekend and Mother’s Day! If you haven’t already entered our Giveaway, be sure to do so! 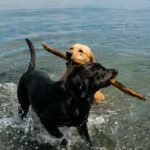 There’s also a link to win a $500 Spafinder.com gift card, pet treats and grooming supplies! A nearly empty beach is my favorite place to be. 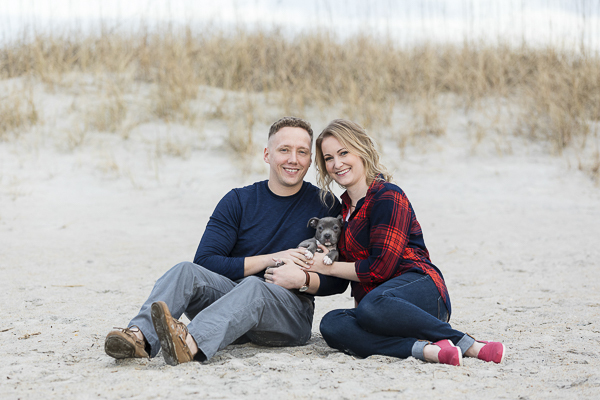 As much as I love the solitude, I’d prefer to spend it some dogs, so I am wild about this puppy session from Erin Costa Photography on Wrightsville Beach! 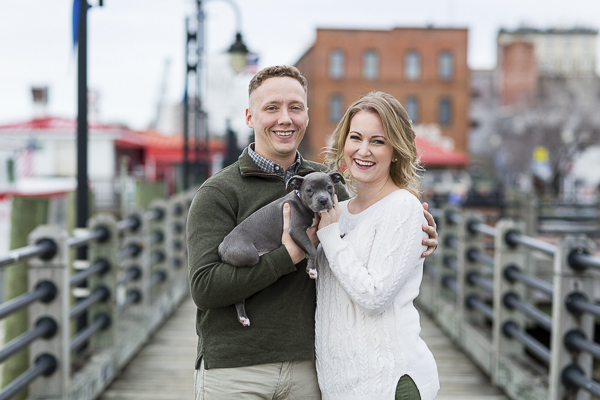 From Erin: “Jillian and Jimmy recently adopted the most adorable puppy named Colby, so of course they wanted to feature her in their engagement session in downtown Wilmington and Wrightsville Beach. From Jillian: “We had such a great time shooting with Erin. My fiancé, Jimmy, and I got Colby the day after Christmas this past year kind of spur of the moment. Jimmy is a Marine Corps officer, and we had just found out about a week before Christmas that Jimmy was going to be deploying mid-February. 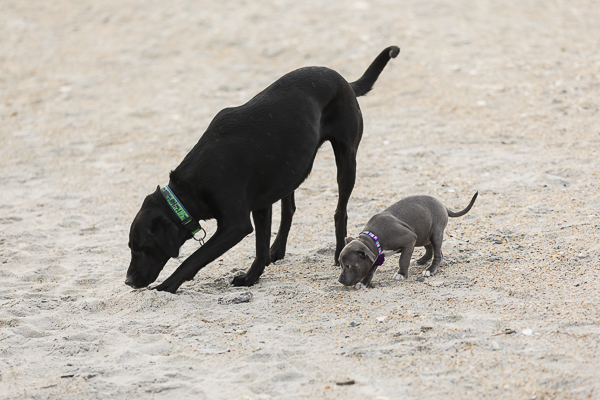 Since I had just moved to North Carolina a few days after Thanksgiving, I was very new to the area and hadn’t established many connections or friendships yet, so we thought that a puppy would be a great way for me to have some companionship – and keep me busy – while Jimmy is gone. We were home in Pennsylvania for Christmas and found a litter of available American Bully puppies. They were on the way back to our new home in North Carolina. When we stopped to see them, we were shocked at the conditions that these dogs – and people – were living in. I picked her up, and she was asleep in my arms within 30 seconds. We initially thought we wanted a boy puppy (my fiancé especially.) But when Jimmy saw her fall asleep in my arms, he knew we weren’t leaving without her. We took her home with us, only to find out that the 8-week old puppy we thought we were getting was a mere five weeks old. Additionally, she was very sick with horrible roundworms, hookworms, and coccidia (another intestinal parasite). Thanks to Jimmy for his service! I know Colby and Jillian will be thrilled when he is home again. Follow Erin Costa Photography on Instagram. 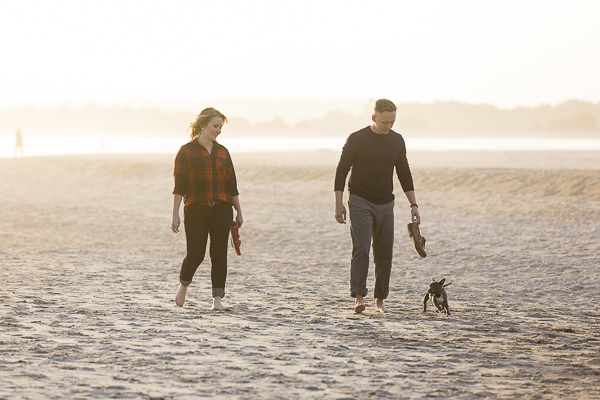 About Erin Costa Photography: Based in Wilmington, North Carolina, Erin specializes in portrait and wedding photography. okaaaaaaay. CUTEST puppy ever!! 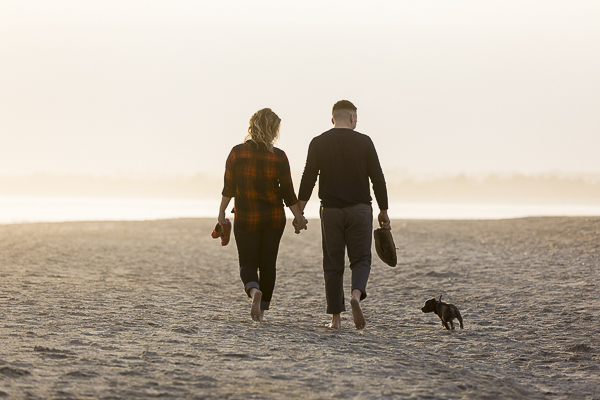 i love that they incorporated their sweet pup into their engagement session!! 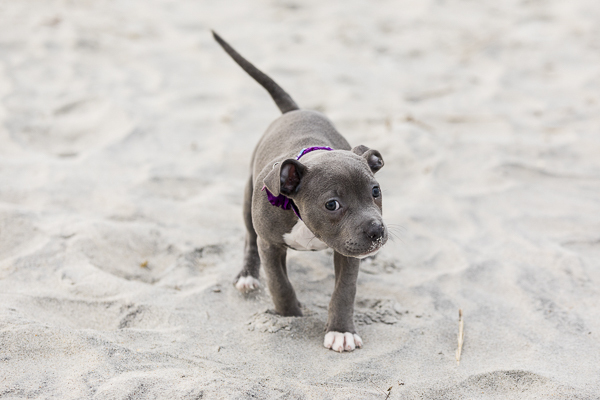 Colby is such a cutie-pie and is going to have one very special life! These pictures are adorable! Such a fun way to involve the pets! Love it! This is the sweetest story-I’m so happy they got Colby, she is just precious! These photos are adorable! Thank you for joining the Pet Parade. AWE! This so so sweet! I wish we would’ve included tuck in our engagement photos! I’ve also wanted to visit Wrightsville beach for so long! 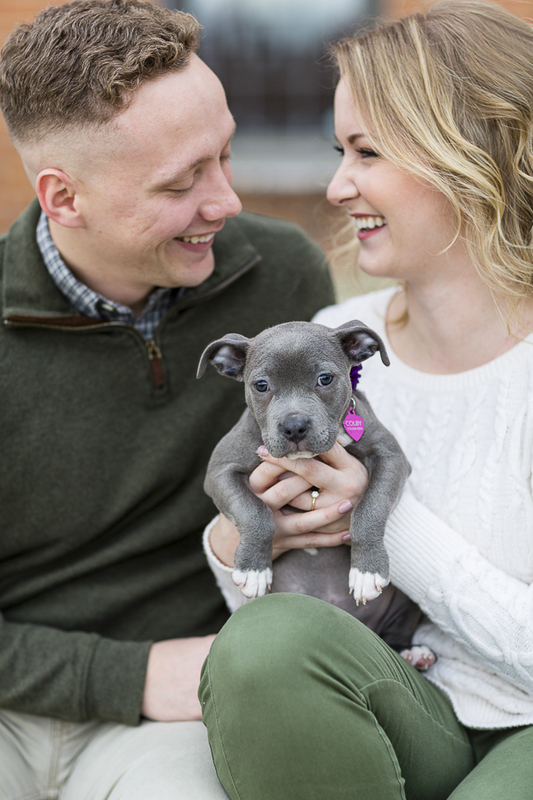 Congrats to the happy couple and adorable pup! So many great shots! Looks perfect the location and the couple too. And not to mention that puppy what a precious little doggie. That face with the tongue out is priceless.